:: Construction Graffiti ::: Pay up Steve! 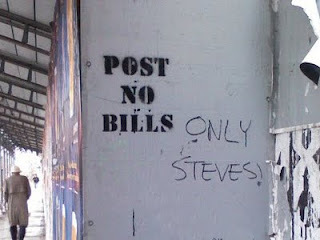 Pay up Steve, or we're going to start posting your debts in public! ..didn't think you'd be needing that knee.